We are based in New Haven, CT. So no more frustrations with communicating your vision and ideas with someone you never met. You can meet our experts in-person and work closely with them. We believe that our work should not be a black box for our customers. We take great pride in sharing our expertise and keeping our customers educated on our approach and the technologies we use. It is easier to work with one team for all your technology and marketing needs. 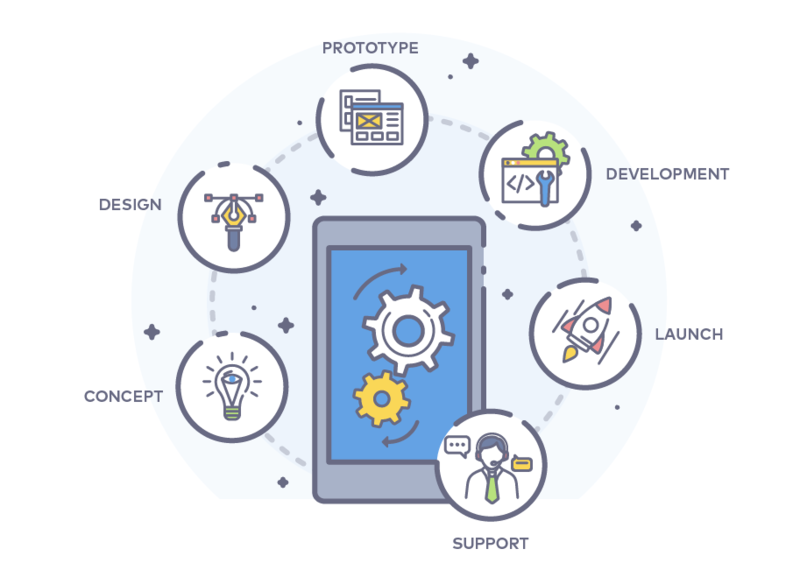 Our diverse team of Graphic Designers, Web Designers, SEO experts, Marketing professionals, Web/Mobile Programmers and IT Solution Architects are always ready to take up a challenge. There are many people who claim to be IT and software experts without formal education or experience. We have over 15 years of experience and post graduate degrees in Information Technology. We also take great interest in keeping up with the latest trends and innovations. If you have an idea and are looking for a partner to make your idea a reality, we can help. We specialize in building software applications for web and mobile using the latest in cloud and mobile technologies. Your business is unique and so should your website. Don't settle for cookie-cutter website templates when you can have a 100% custom designed website for your business. Thank you! We got your message. We will get back to you shortly.